Betsy Veldman uses a lot of vintage goodies in her creations. She has a challenge going on right now to use something vintage in a creation. Of course, vintage is my thing, so I couldn't resist participating! I used a vintage image, book page, and buttons. I found this darling book at an estate sale awhile back. It's large: about 9 1/2 x 13". So I scanned in the image I wanted to use and reduced it. I know it's way early for spring, but I like to think ahead. I used an old children's book page to create the rose. 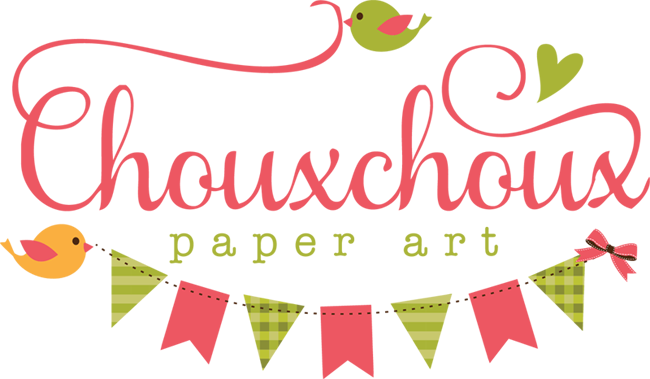 The papers are from My Minds Eye and the cardstock and the embossing die used on it are from Papertrey Ink. I used a Martha Stewart punch to create the fence...continuing the idea from the image. I had a little green seam binding ribbon left (got to find time to dye some more! ), just the color I wanted. 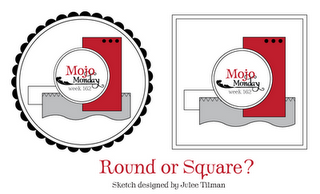 I also used the sketch from Mojo Monday - it really caught my eye. I just have to show you another of my birthday presents. My daughter, Lauren, knitted a pig for me. Isn't he cute? He has the sweetest face and the cutest curly-Q tail. That little piggie is too cute, my youngest daughter's chinese horoscope is pig, when I see one, I always thought of her! So nice of you daughter to do make that little cutie for your birthday! There's no doubt about it Lori, no one does vintage like you. These are gorgeous! The little pig is adorable! How sweet of your daughter. 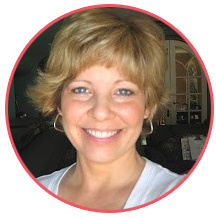 Your card is amazing, Lori! I love the vintage image with all those wonderful papers are the perfect combination! Love the illustration and your resulting card - just darling! What a great find in that wonderful children's book. You have such a fantastic eye and I agree with Kelly.....no one does vintage like you! This made me think back of my own childhood. That book....ohhh and the image is so gorgeous. I love the card; every piece and bit of it. The flower and seam bining are fabulous! Vintage images are your forte!! you nail it each time u design it!! What a sweet card & that pig is CUTE!! Your card is so FUN! I love that image. And the little pig your daughter made? Adorable!! What a sweet little gift...I'm sure it brought a huge smile to your face!